Lucius Annaeus Seneca (4 BCE–65 CE) was a Roman Stoic philosopher, dramatist, statesman, and adviser to the emperor Nero, all during the Silver Age of Latin literature. The Complete Works of Lucius Annaeus Seneca is a fresh and compelling series of new English-language translations of his works in eight accessible volumes. Edited by world-renowned classicists Elizabeth Asmis, Shadi Bartsch, and Martha C. Nussbaum, this engaging collection restores Seneca—whose works have been highly praised by modern authors from Desiderius Erasmus to Ralph Waldo Emerson—to his rightful place among the classical writers most widely studied in the humanities. 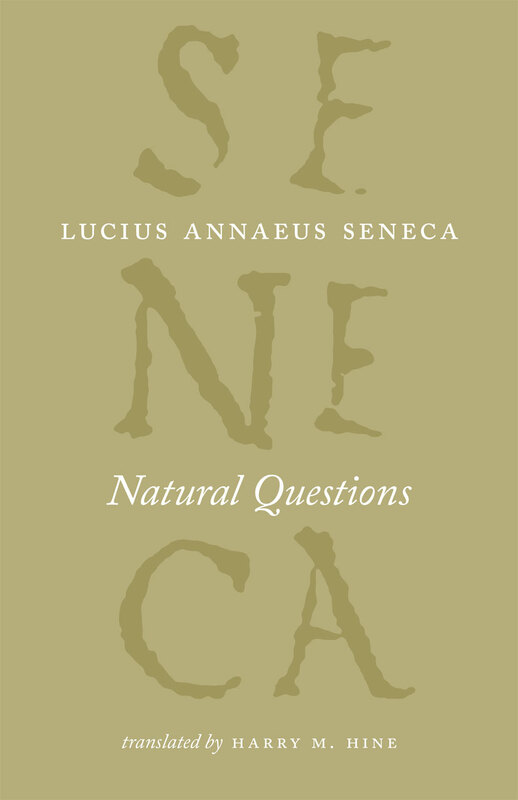 Written near the end of Seneca’s life, Natural Questions is a work in which Seneca expounds and comments on the natural sciences of his day—rivers and earthquakes, wind and snow, meteors and comets—offering us a valuable look at the ancient scientific mind at work. The modern reader will find fascinating insights into ancient philosophical and scientific approaches to the physical world and also vivid evocations of the grandeur, beauty, and terror of nature.